There’s little doubt Jeunesse has quality products that can keep you looking and feeling young. The question is, can you create a viable business with products this expensive in the incredibly crowded beauty market? 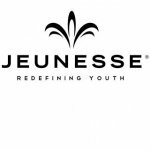 Started in 2009 by an ambitious and driven Wendy Lewis, Jeunesse Global is an MLM that sells a wide array of products directed at youthfulness, health, and fitness. Recognized By Inc., Direct Selling News, and Stevie for their impressive growth, Jeunesse is an MLM to watch. 1. What does Jeunesse sell? Jeunesse sells products that support beauty and youth: skincare, energy, nutrition, hair care, and more. 2. What are Jeunesse’s most popular products? One of Jeunesse’s top products is Instantly Ageless, which reduces the appearance of under-eye bags, fine lines, wrinkles, and pores for 6 to 9 hours. Another, Nevo, was awarded the Stevies Consumer Product of the Year in 2016. This caffeinated energy drink has only 50 calories per can and no artificial flavors, colors, or sweeteners. 3. How much does it cost to join Jeunesse? To join Jeunesse, you’ll pay $49.95 for the Jkit. You don’t have to buy a product package, but it will be encouraged. Options for those are the Ambassador Package ($1,149.95), the Supreme Package ($499.95), the Basic Skin Care Package ($199.95), or the Basic Nutritional Package ($199.95). Be aware, there’s also an annual renewal fee of $19.95 unless you maintain 360 CV throughout the preceding year. 4. Is Jeunesse a scam? No, Jeunesse is a legitimate business. It ranked #381 on the Inc. 500/5000, #18 on the Direct Selling News Global 100, #9 on the Direct Selling News North America, and was listed on Direct Selling News’ $100 Million Growth Club. They’ve also won five Stevie® awards for Fastest Growing Company of the year. 5. What is Jeunesse’s BBB rating? NR. The BBB hasn’t rated Jeunesse. 7. What is Jeunesse’s revenue? $1.3 billion in 2017. Jeunesse is one of the hottest health MLMs (up there with Beachbody and Herbalife). So should you hop on board? Either way, here’s the full review on Jeunesse. Instantly Ageless is a micro cream that is used as a line reducer and wrinkle filler. It’s for use on your forehead, eyebrows, eyes, and large pores. It claims to last 6-9 hours per application. Luminesce is labeled as an anti-aging line. The six products in the line give you a regimen for your whole body, not just your face. However, with incredibly high prices, you may age faster just trying to pay for it. AM & PM Essentials are supplements with key nutrients from whole foods. The AM supplement has many vitamins and minerals and the PM supplement has a secret blend to replenish any deficiencies from your day. These are no more than an expensive multivitamin that you take in the morning and in the evening. The next in the nutrient category of Jeunesse products is the Reserve drink. The juice is a blended concoction of fruit juices, seed extracts, and Resveratrol. This juice has been tested and proven to protect live cells from oxidative damage. Finiti is another nutrient product and is hailed as Jeunesse’s most advanced supplement to date. The capsule supplement has both fruits and vegetables and is free of most allergens. An insane, $289.95 per 120 capsules will take your breath away and potentially scare away potential buyers. What would a supplement company be without a weight loss pill? Well, Jeunesse is no different. The Zen Project 8 is an educational program for people to learn how to lose weight with coaching, diet, and exercise. There are three phases each with an individual food supplement. Phase one has a detox product, phase two offers a belly-busting product, and phase three has supplements to keep you on the right track. The company makes claims about these products that are only applicable to a fully engaged, devoted training individual. None of these products alone will get rid of your belly fat or keep you skinny on its own. Nevo is an energy drink whose claim to fame is 50 calories from a can of real fruit juice. There are four different flavors with no artificial sweeteners, colors, or flavors. The Green Tea ingredient is what gives consumers the energy boost along with B-Vitamins. M1nd is a memory and focus supplement featuring Cera-Q (silkworm cocoon proteins), L-Theanine, GABA, and L-Acetyl L-Tyrosine. RevitaBlu is a drink mix designed to hydrate and support your body’s system. It’s a botanical blend of blue-green algae, sea buckthorn berry, and aloe vera with coconut water power. Monavie blends 19 superfruits and plant-based glucosamine to protect your cells against oxidative stress and aging. RVL is an ultra refining shampoo that cleanses, moisturizes, and conditions without parabens, fulfates, siligones, and dyes. NV is created by a celebrity makeup artist and contains an exclusive polypeptide technology that moisturizes, renews, and creates a smooth foundation for your makeup. As with all MLM’s, there is always opportunity; the question is whether it’s worth your time. With a startup cost of just $49.95 and then $19.99 annually to renew, the risk is relatively low for distributors. There can be a lucrative income achieved with Jeunesse, but it takes an incredible amount of time put in and time waiting to see the results. If you are a person who wants to join just for the free products and free new trials, then it might be worth it to become a distributor. The incentive commission plan was ranked # 1 in April and May of 2015 in social media attention. The company is financially strong. In 2018, they topped $5 billion in cumulative worldwide sales. That, plus a diversified global market give Jeunesse a strong earnings potential moving forward. There are many perks to working for a popular MLM such as Jeunesse Global. Free product training, marketing strategies, business support, and much more are luring for newbies to the work. The company strives to use the best ingredients found in their natural state for their products. Through research and development, they are continually improving the products for more effectiveness. Dr. Nathan Newman is the mastermind behind some of the products and is quite renowned for his science and engineering. He has created a combination of stem cells and antioxidants that give visible results to a certain extent. Jeunesse has tapped into stem cell research and cellular restoration technology to create their products. While stem cell is gaining a foothold as a valid and acceptable way to approach health and beauty, there may still be some controversy around it. There will always be banter between the left and the right about stem cell research, and that could affect your ability to sell Jeunesse products. As far as bad news for distributors, an average of $85 every month is needed to maintain membership as a minimum purchase of goods. If this minimum isn’t met, you could lose your status as a distributor and have to start over again. Jeunesse currently has no rating with the BBB. And there are complaints online that the company doesn’t reimburse shipping and handling fees when/if products are returned. Do your research to be sure customer support will be there if you need them. Jeunesse Global has, undoubtedly, profited quite a bit since its inception. This is in part because of the huge margin of profit on their extremely expensive products and in part because of the driven individuals who market the products with all their hearts. Jeunesse’s products are mind-blowingly expensive for skincare. You may be paying for a lot of research and development — with no real guarantee that it works. That said, there are good reviews online, so there’s a good chance it does. The challenge is affording it to give it a try. And, of course, knowing enough people with a huge budget for skincare and health, who are willing to buy from you so you can create a viable business. Nice, you should check this out. This is wrong. The monthly $85 (average) is not to maintain the membership but to maintain the points gained by the distributor if the distributor wants to expand the business and convert the points into cash.